Some 12th century Norman remains, the rest mostly Perp, though with much post-Reformation repair. Restored by J.D. Sedding, 1872-3. Materials: Granite and mixed rubble, slate roofs. Plan: Nave and chancel in one, with six-bay arcades to north and south aisles. Aisles and chancel of equal length at the east end. Exterior: The nave is low, of squared and coursed grey stone, with windows under four-centred arches. The tracery is Perp in style, but probably mostly Victorian. The south porch is good Perp, with the outer arch flanked by forward-facing buttresses, and two slim pinnacled shafts attached to both the north and south side walls. In the gable is a statuary niche (now with a sundial). There is a good inner doorcase, with square label and daggers in the spandrels. The tower is robust and plain, with diagonal buttresses, embattled parapet, tall pinnacles and three-light Perp bell openings. The west face has a plain doorway with a small three-light window above. On the north side is a polygonal stair turret. The north aisle was at some point lengthened to overlap the tower. Its west window tracery was replaced by Sedding, as was much in the north aisle. The church¿s east face has three almost even gables, with two big sloped masses of stone against the chancel and the angle of the north aisle: evidence of post-Reformation attempts to strengthen the structure against encroaching sands. Interior: The interior appears spacious because of the full-length arcades of six arches. The arcades are mostly Perp, with piers of four fat clustered shafts with angled fillets between. The arches are wave-or hollow-moulded. However, the second arch from west on the north side is Norman, of stepped round profile, and capitals with a band of fluting. Opposite (south arcade) a capital with twining foliage, probably 15th century, and similar capitals to the eastern responds. The stairs and upper door to a former rood loft survive in the north aisle wall. The wagon-vaulted roofs are largely of 1872-3, with some re-used bosses. Principal Fixtures: The altar is of 1902, with rails of 1903. In the south chapel is a Jacobean communion table, and an early 20th century oak reredos, formerly in the chancel. The 12th or 13th century font has an octagonal bowl on a heavy central stem surrounded by completely plain pillars. It was reinstated from a local farmyard in 1889. The pulpit is of 1887, by J.P. St Aubyn. This and the stalls are of oak. Pine benches in the nave, 1872-3. Framed board with a painted letter of commendation from Charles I to the county of Cornwall (1643). East window to the Tyringham family by M.C. Farrar Bell, 1973. Vestry window by Hardman, typical patterned glass c. 1850s, with saints in the tracery. In the north aisle are two windows of 1949, and a Neo-Perp oak screen of 1911, formerly screening the chancel. At the west end of the south aisle are two characteristically Cornish slate tablets: to Stephen Pawley, 1635, and William Praed, 1620, the latter depicting shell-headed niches containing flowers and memento mori, with the kneeling family in the centre. The sundial over the porch is unusual for including a figure of Death, supporting the gnomon. Subsidiary Features: Low churchyard walls probably 18th or early 19th century, including blocks made of compressed black slag from the copper works across the Hayle estuary. History: St Uny was granted in 1150 to Tywardreath Priory, and in 1272 to the Bishop of Exeter. The Norman church probably consisted of a nave and chancel, a north aisle, and possibly a tower. The north arcade was part-renewed, perhaps to match that of a new south aisle, in the late 14th or 15th century: the tradition of a reconsecration on February 2, 1424 lacks documentary support. The present west tower is also late Medieval. By c. 1520, the port and church were 'overpressed with sandes' (Leland). By 1679, the church had partially collapsed under the weight of drifting sand (one of several on this coast), and the curate vacated his nearby house. Repairs began in 1727, and a gallery was added in 1751. The growth of Nonconformity reduced the number of communicants to twelve by 1812. Tracery in the north aisle was renewed in 1845. Gale damage to the roofs in 1872 prompted a restoration by J.D. Sedding, costing £1,179, and J.P. St Aubyn added fittings in 1887-9. Culver, J., A Short History of St Uny and his Church (2003). 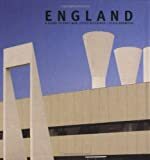 Pevsner, N. and Radcliffe, E., The Buildings of England, Cornwall (1970). Incorporated Church Building Society (ICBS) Archive, Lambeth Palace library, file 07512 (www.churchplansonline.org). 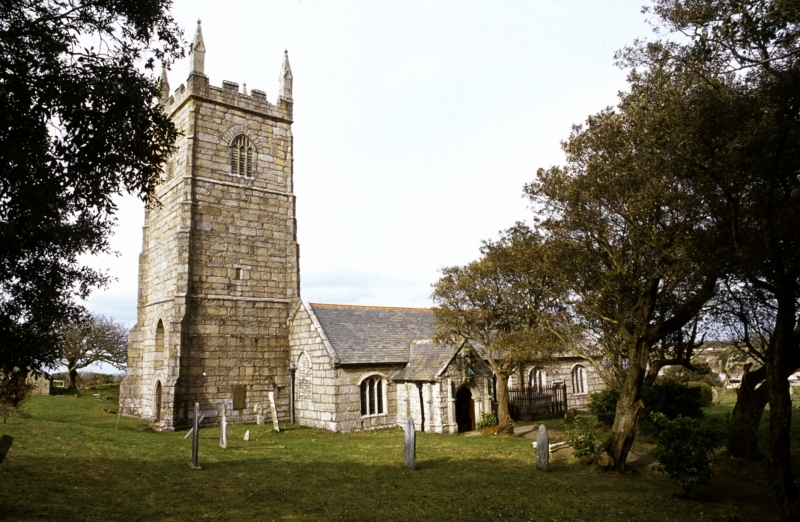 *	A medieval church of some presence, exposed on a sandy headland above the Hayle estuary, and highly characteristic of Cornish churches. *	Restoration by J.D. Sedding, sensitive as usual, and part of a long histpry of decline and renewal. *	Varied fittings including slate monument of 1620, and Victorian and 20th century stained glass.